Professional installation of all types of tile: ceramic, porcelain, glass, stone, marble, granite, travertine, large format tiles, etc. I install tile on the floors, walls, back splashes, fireplaces, steam showers, shower benches and any other places you desire. I build custom showers in any size and shape. I also do custom mosaic murals as well as inlays. 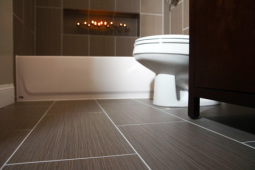 Let KT tiles to be your next tile contractor! 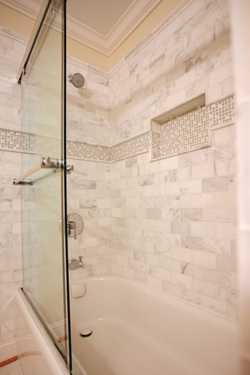 KT tiles can help you with bathroom remodeling services and tile installation! I am servicing Annapolis area, Baltimore and Washington, D.C. metro areas and Northern Virginia. Please check out and like my Facebook and Google + page, where you can find more about bathroom trends and tips. KT TILES CUSTOM TILE INSTALLATION AND BATHROOM REMODELING - QUALITY YOU CAN TRUST!